MOSCOW, April 5. /TASS/. 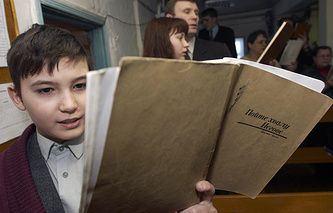 Russia’s Supreme Court has postponed a hearing on outlawing the Jehovah’s Witnesses religious organization along with its 395 local branches and confiscating its property until April 6, a TASS correspondent reports. Through its decision, the court satisfied a motion entered by the Jehovah’s Witnesses representatives to get acquainted with their case files. Earlier in the day, the court turned down a number of their appeals - on adjudicating a counterclaim against the Russian Justice Ministry for allegedly repressing the organization and for the participation of its 395 local branches in the court hearings. If the court satisfies the Justice Ministry’s petition and it comes into legal force, members of this religious organization could be charged with a criminal offense under Article 282.1 ("Creation of an Extremist Community") of the Russian Criminal Code. In its lawsuit, the ministry pointed to various violations in the organization’s activities revealed during a surprise inspection, including of the Law on Counteracting Extremist Activities. 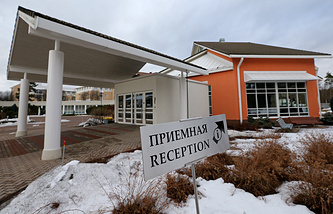 For its part, the organization’s press service told TASS that they were alarmed by the decision, since it could affect 175,000 active believers. On October 12, 2016, Moscow’s Tverskoy district court issued a warning to the Jehovah’s Witnesses Administrative Center in connection with the revelations of extremism there. Under Russian law, a religious association or organization is subject to termination if it does not remedy the specified manifestations of extremism before the required deadline or displays new ones. On January 16, 2017, Moscow City Court passed a resolution that corroborated the validity of the warning for extremist activities. The Jehovah’s Witnesses is an international religious organization that supports offbeat views on the essence of the Christian faith and provides special interpretations of many commonly accepted notions. In Russia, it had 21 local organizations but three of them were eliminated for extremism.